You're going to need to add a whole new bookcase for what Kodansha has in store for 2017. Aside from fully remastered and restored re-releases of the original Ghost in the Shell manga lineup by Masamune Shirow, we will be seeing the first fully restored release of Katsuhito Otomo's AKIRA manga in English as a deluxe six-volume box set at the wallet-devouring list price of $199. Both titles had been released in English before, but not with the degrees of fidelity exhibited by more current releases — they had retouched sound effects, flopped artwork, or other concessions to Western audiences. Of the two, the AKIRA remaster excites me the more. For one, if memory serves, its original English-language printing was actually a re-retouched version of the French adaptation, so there was already a level of remove from the original. Having the whole thing delivered in one go will be a good opportunity for me to sit down and read it end-to-end, no excuses, and consider in detail all the ways its movie version breaks rank with it. 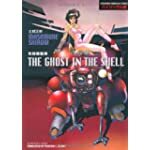 Ghost in the Shell, on the other hand, has a problem I see common to almost everything Shirow has done: it improved immeasurably (at least in terms of coherency) when other people — Kenji Kamiyama, Mamoru Oshii — went to work on it. But it'll still be nice to have this remaster as a point of departure for detailed discussion. Bleach is finally ending its manga run. They missed a slight bet by not having it end on chapter 666, but hey. My own interest in Bleach waned early on. I enjoyed the first season of the TV series, but like so many shōnen titles, everything I saw after that devolved into a mindless grinding wheel of competition and level-up. Now that the property is set to finish, maybe I'll revisit it in time and see if there's any more there there, but it always struck me as the kind of property best left to those truly devoted to it to discuss in depth. For those of you with Amazon Prime accounts, Super Dimension Fortress Macross, Super Dimension Cavalry Southern Cross, and Genesis Climber Mospeada are all streaming on that service. The three were stitched together in various combinations to produce Robotech. I'm surprised this stuff is showing up Stateside at all these days, given Harmony Gold's iron grip over the franchise, but I'll take whatever blessings I can get. Cuba's otaku: From Reuters: "Cuba may be one of the world’s least connected countries but that is not stopping the Japanese subculture of animated movies, manga comics and video games from spreading feverishly among its youth." Yen airlift: Japan is contemplating "helicopter money" to stimulate its economy. (C: Control fans, here's hoping this actually has the intended effects...) Update: It's not happening, at least not yet. Update 2: Further insight from Paul Krugman (from 2013) about why helicopter money isn't much help. Gotta map 'em all: A common anime fan pastime: seeking out real life locations featured in anime.